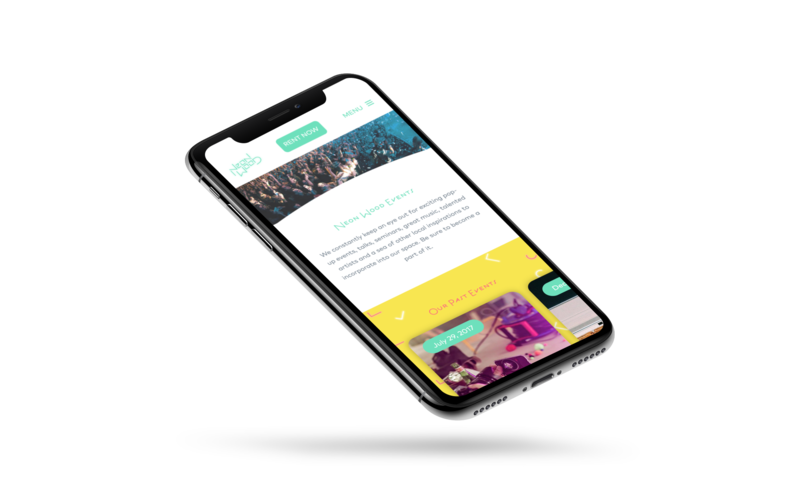 My freelancer buddy Nico Roicke asked me early 2017 to take over one of his passion projects due to him taking over a big client and the resulting timing issues. 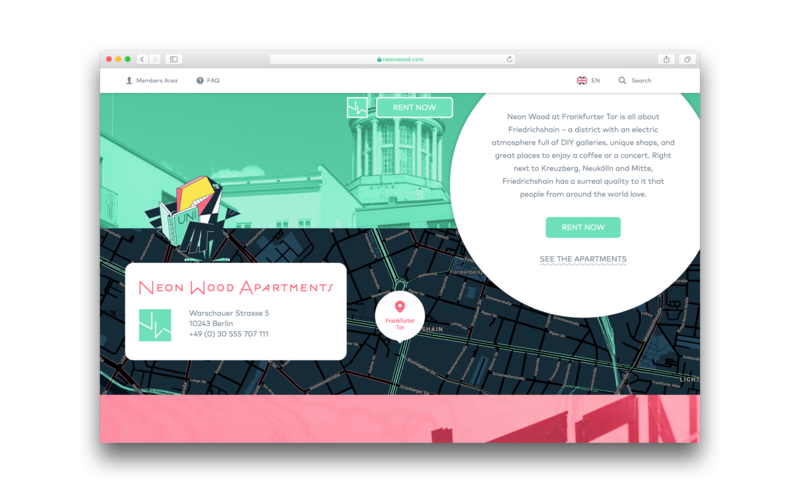 After initial meetings and a proper handover I was tasked to handle all ongoing web, graphics and collateral work for the new student apartment brand Neon Wood and further develop the solid and versatile corporate design for upcoming use cases, all in close collaboration with Nico. 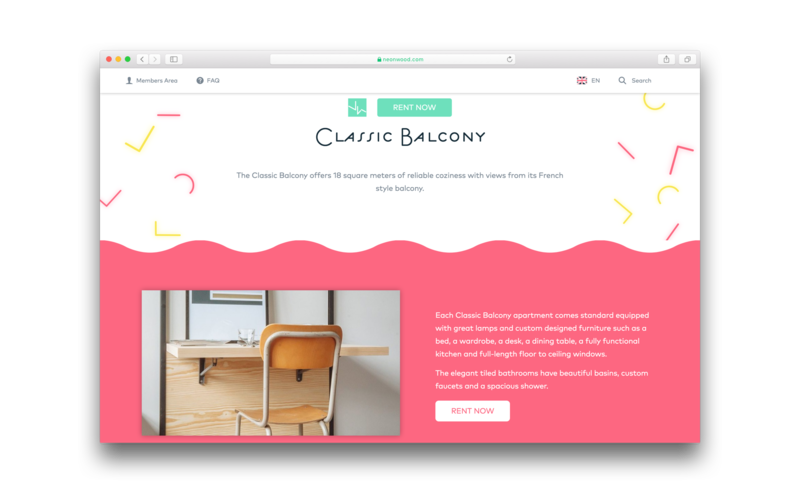 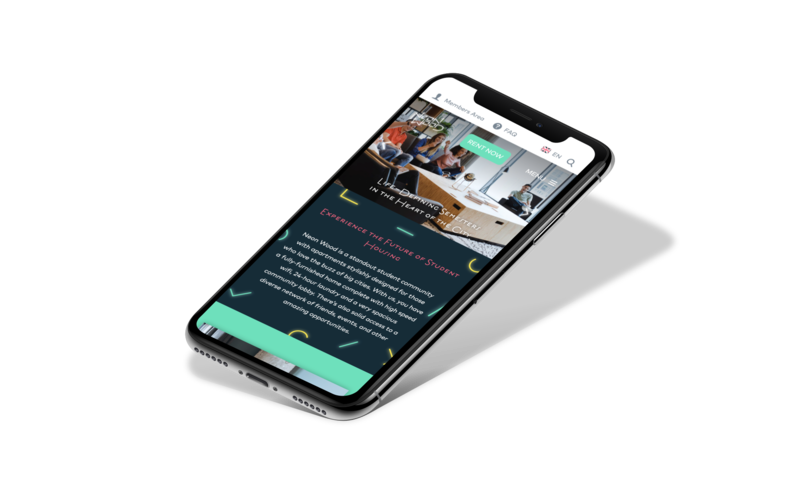 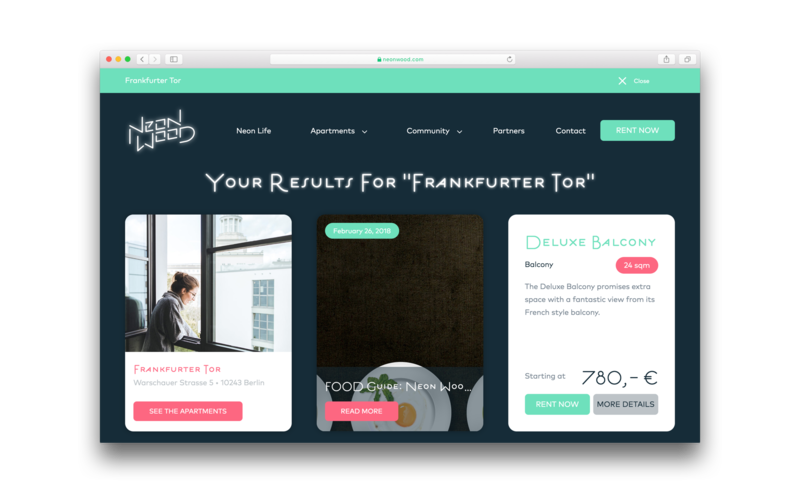 The existing landing pages served their purpose to introduce the brand to the broader student community in Berlin but needed to be updated to handle all the upcoming locations, information about the variety of apartments, the surrounding areas and booking process. 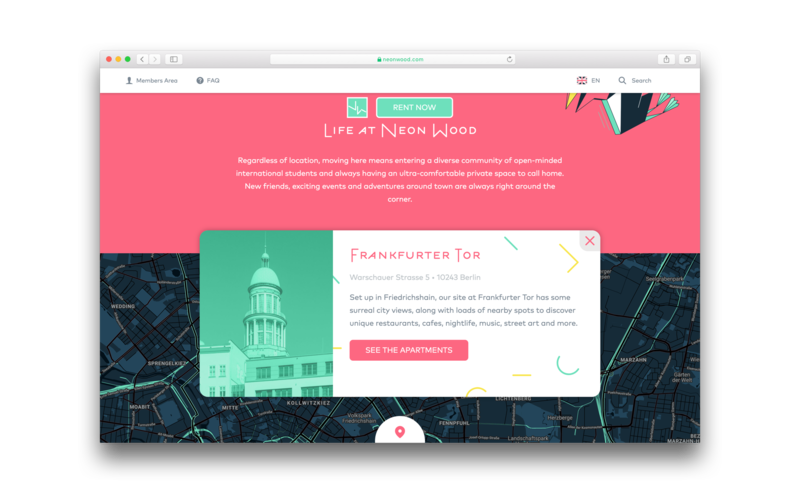 Neon Wood is currently open and available at Frankfurter Tor but will soon open more and more locations, the next being another great site in Mitte-Wedding. 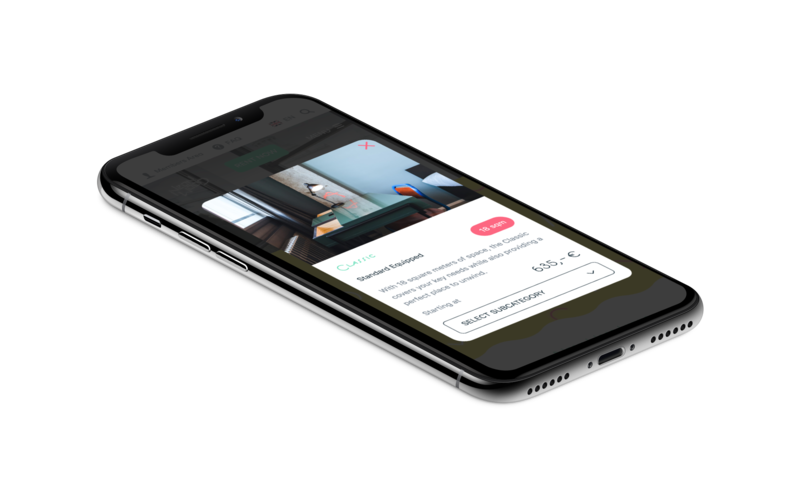 One of the biggest challenges was to provide the visitor and potential future renter a clear and detailed option to view all available apartments at a certain location and enable him to quickly compare the differences and advantages between each one of them at a glance. 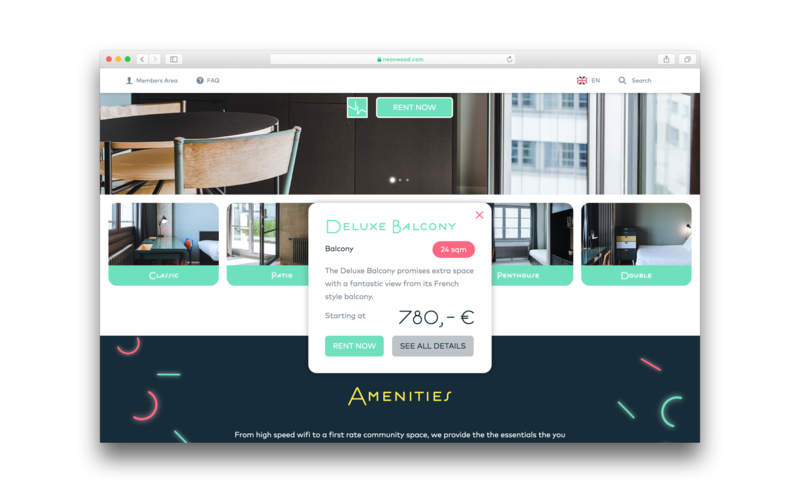 Of course, the site only serves its purpose when the visitor actually turns into a satisfied customer, so we made sure to provide him equally easy access to all the information he needs to book the apartment he likes while on the go. 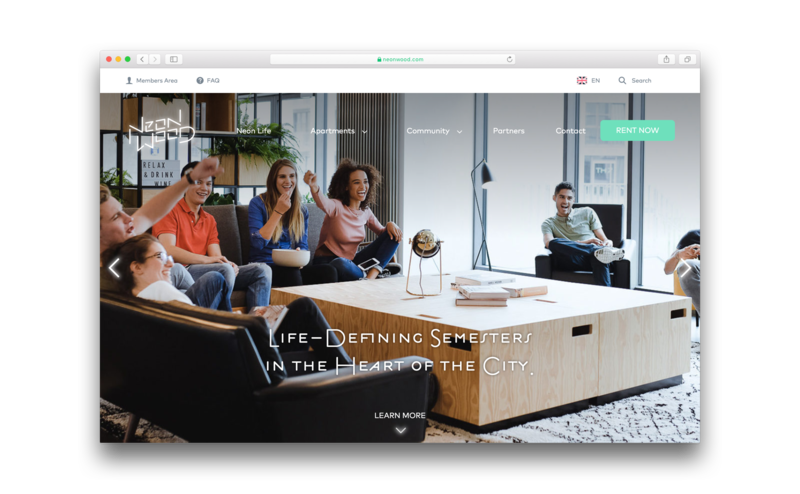 Thanks to the all parties involved: from Nico for trusting me to handle this ongoing project, to Antje for the great iconography and signage work, to Michael from bleech for the development sorcery, to Addick from the actual client company Cresco Capital.